Properly Storing Winter Clothing - Fashionomics "every page"
It is time to start thinking about properly storing your winter clothes. I like to get a jump start so you can plan ahead and have your supplies ready when Spring rolls around and it is time to turn over your closet from Winter to Spring. It is not a bad idea to keep some of these items in your closet year round to prevent damage to your valuable clothing no matter what the season. 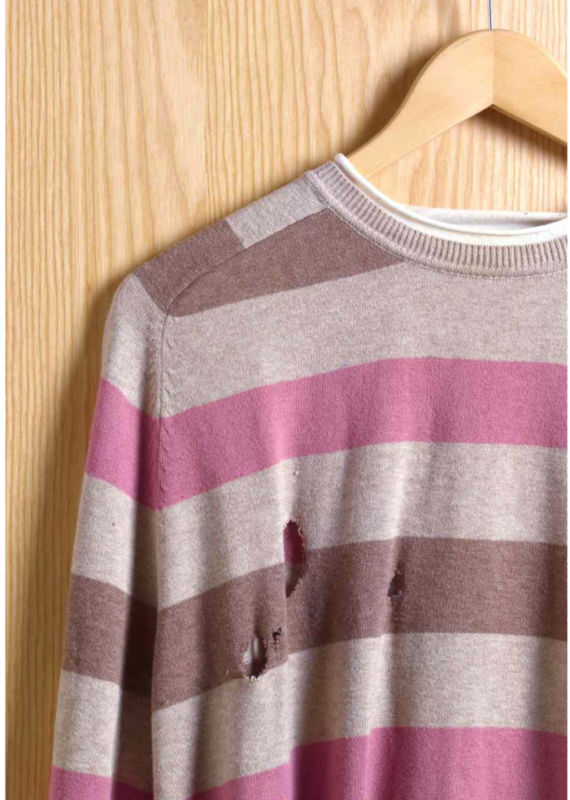 Moths are always the dreaded culprit when it comes to assessing damage to cashmere, silk or wool. Did you know that other insects can damage cotton, rayon, linen and even stain synthetic clothes? The list includes carpet beetles that prefer natural fibers like wool, mohair, fur and feathers. The list of destroyers includes webbing clothes moths, case bearing clothes moths, cockroaches, crickets, silverfish, firebrats and termites. Well that should just about make all us want to give up and call the exterminator!!!! I have been reading a very informative article by Laundry Expert Mary Marlowe Leverette of The Spruce. It was more information than I expected to find and I am officially creeped out by the possibility of any or all of these bugs eating my beautiful clothes!!! HOWEVER DO NOT DESPAIR. FASHIONOMICS HAS SOME ANSWERS AND SOLUTIONS!!!!!!!!! It seems that there are some common preventable situations that attract these crazy insects and you can outsmart them. They seem to be attracted to body soil, food and beverage stains. They also like to grow and live in dark, damp areas of your home. These are the areas that you can attack to get ahead and save money and your clothing by preventing the damage before it has a chance to start. Hopefully you have a regular and dependable exterminator who can take care of the insects permanently every season. I have to say that I have had several conversations with our exterminator about which moths cause damage to clothing and he really could not give me a definitive or satisfactory answer. I learned more from Googling the subject and coming up with Ms Leverette’s article on the About Home site and she has lots of pictures, YUK!!!!! As I stated earlier, the first step in the protection of your garments is to be sure there are no moths, carpet beetles or other fabric munchers to make holes or stains on your clothes. You can choose a professional exterminator, DIY procedures at home and even choose your chemicals or herbal products according to your preferences. Don’t take any chances!! Call for help if you see any indication that you have a problem. If you do have a moth problem you will have to use some kind of insecticide to eliminate the pests. These products are available and pretty much all smell like the old moth balls your grandmother used. This is the last resort and I hope you do not have to use these products. If you do, be sure to air out your clothing before wearing anything!!! Otherwise you will smell like you came out of the Wuthering Heights novel or maybe it’s Great Expectations!!! This will really make you want to follow my steps below!!!! It is really important to wash or dry clean your clothes before storing them. As I stated above these insects are attracted to body soil, food and beverage stains, etc. So it would stand to reason that cleaning them well before putting them away would be a huge help in keeping your closet from becoming a smorgasbord for the creepy critters. (Ask your favorite dry cleaning professional of you don’t believe me.) Also I mentioned that dark damp areas are a breeding ground and pose problems and provide a great place for these bugs to thrive. Be aware of this when choosing an area for storage. There is a product that I like to use in damp, dark areas. I have an under the stairs closet that I use to store my Christmas decorations and it is very damp. 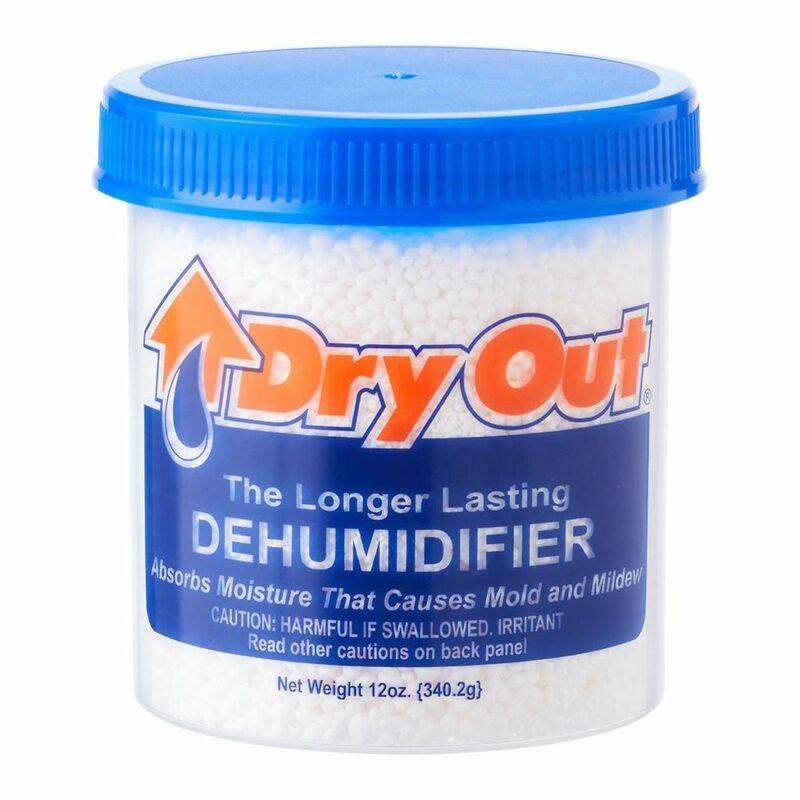 I use a product called Dry Out (The longer lasting Dehumidifier) available at The Container Store (of course). I could not wait to show my husband how much water was in each jar when it was time to unload the Christmas closet. My goodness there is so much moisture in the air. I doubled up on the number of containers I placed in the closet this year. I am a big believer in prevention. There are some other dehumidifying products available and you can see which one works best for your situation. Don’t we all wish we had a fabulous cedar closet for storing our off season wardrobe? If you do, great!, and if not there are other cedar solutions that work quite well. The essential oils in aromatic cedar give off a scent that repels moths, carpet beetles and other pests. Cedar is renewable so when the scent fades you need to rub it with sandpaper and/or mist it with cedar spray to restore it’s potency. Yes, you need to stay on top of this every year. It is very important to remember that if you can no longer smell the cedar, neither can the bugs. It is so easy to restore the scent and keep the cedar working for you. The Container Store carries several cedar products as well as the cedar spray. I personally like the lavender scented cedar. There are balls, drawer liners, blocks, and garment hangers that will work well in your preparation for storage. An added bonus is that your drawers and closet will smell fresh and clean. 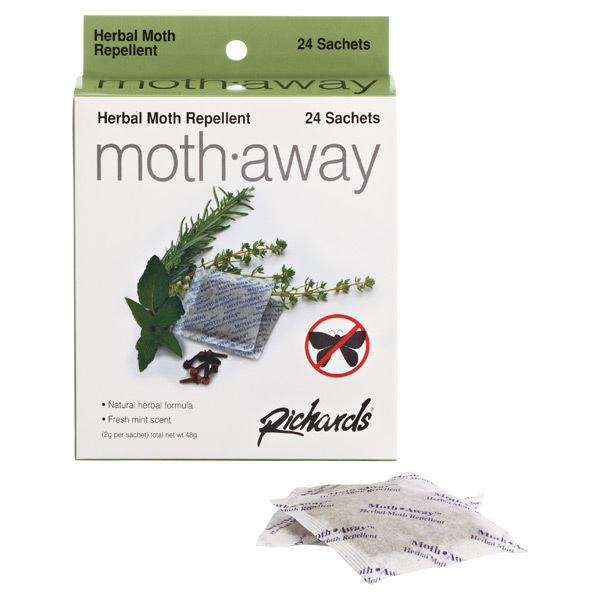 Another option that can be used along with the cedar products is called Moth Away. It is made of a blend of natural herbs and comes in packets that look like a tea bag. I use these all year round everywhere. I love the fresh scent and the added bonus of repelling bugs. All of these products can be used in your closet, garment bags, drawers and storage bins for added protection. After you have cleaned your garments they are ready to be stored until next season comes back around. It makes sense that if you store your clothing in airtight (or almost airtight) containers they will be protected from dust and pests and other environmental issues that can cause damage or deterioration. Clothing is expensive and worth protecting so that it can be worn more than one season. Trends don’t change that quickly and if you make wise purchases with the help of Fashionomics expert, Debby Jett Allbright, you can actually save money!!! I depend on The Container Store for most of the containers that I personally buy for my own home and recommend to clients. They seem to carry higher quality items, their staff is very knowledgeable and they value their clients enough to accept returns if there is anything wrong with items you purchase. 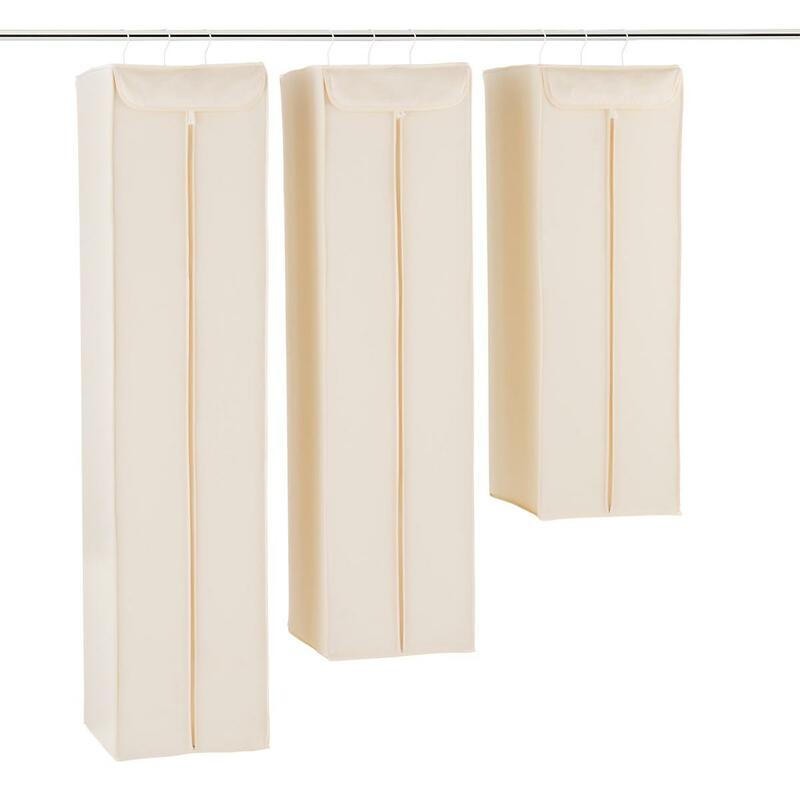 I recommend hanging garment bags in PEVA or cotton, sweater boxes or bags, underbed boxes and blanket bags. I like to store off season shoes in clear plastic shoe boxes on a higher shelf that is out of reach and makes room for your in season shoe wardrobe. You can use the cedar products or Moth Away packets in each container for further protection. If possible store your off season clothing in another closet to make room for the current season. If you do not have extra closet space then put your off season items on the top shelf of your closet or under the bed out of the way. I hope these hints are helpful and you will take my advice to ELIMINATE, PREVENT, REPEL, and CONTAIN your valuable clothing. Please call on Fashionomics expert Debby Jett Allbright at any time for closet organization, storage preparation and wardrobe assistance.